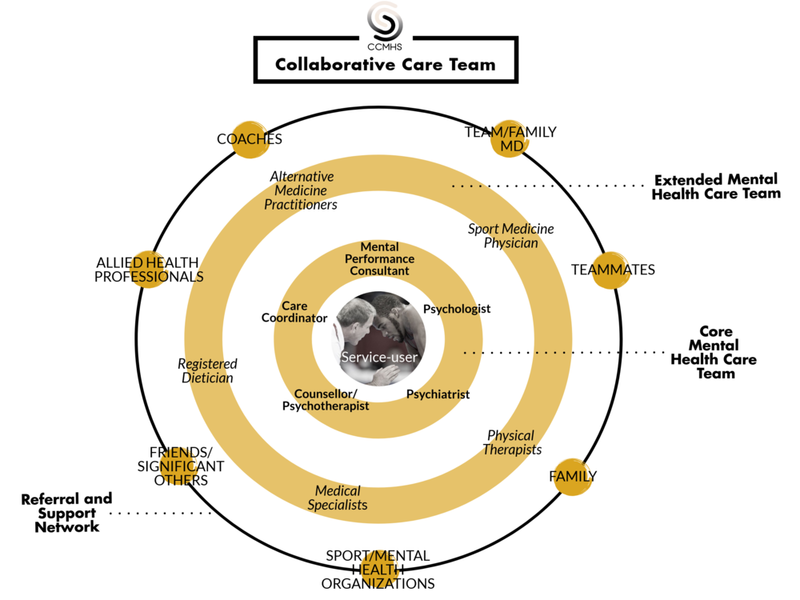 The CCMHS collaborative care team involves psychologists, psychotherapists, counsellors, mental performance consultants, family physicians, and psychiatrists, all of whom are in good standing with their regulatory body and professional organization, and meet requirements to practice in Canada. This team is unique and comprehensive in that it includes all core mental health and mental performance practitioners who are in a position to positively impact athletes and coaches seeking to improve their mental health and recover from mental illness. We have a team of 15 practitioners with diverse skill sets and areas of practice, which allows us to offer high quality, flexible, adaptable, and comprehensive care. Our practitioners cover Canada's wide landscape from Prince Edward Island to British Columbia, and all have experience working in sport settings. We also have bilingual practitioners who can serve our francophone athletes and coaches. Our team can provide care either in person or via our secure telehealth platform. Click on each practitioner's bio to learn more about them.